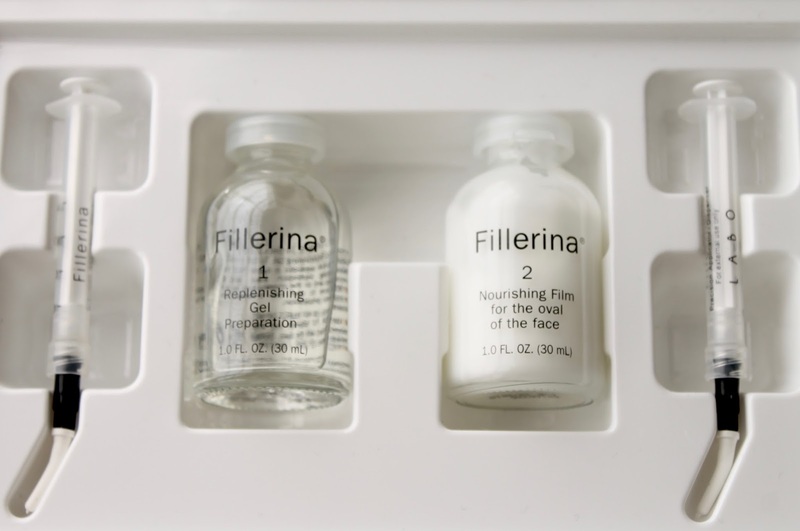 Fillers are a topic on everyone's minds currently; one of the best ways to combat deeper wrinkles and fine lines. 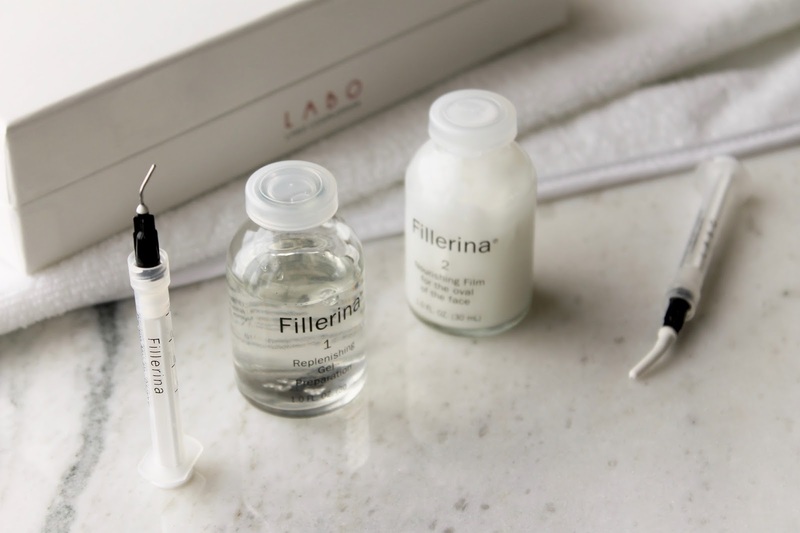 Unfortunately, many of us don't feel comfortable with the price and the invasiveness of injections...and others don't want to risk altering their appearance. I know I'm not the only one who's hoped that (with all the amazing technological advances in the beauty and medical industries) there would eventually be a topical product that could give similar results in home and do so in a non-invasive, safe way. 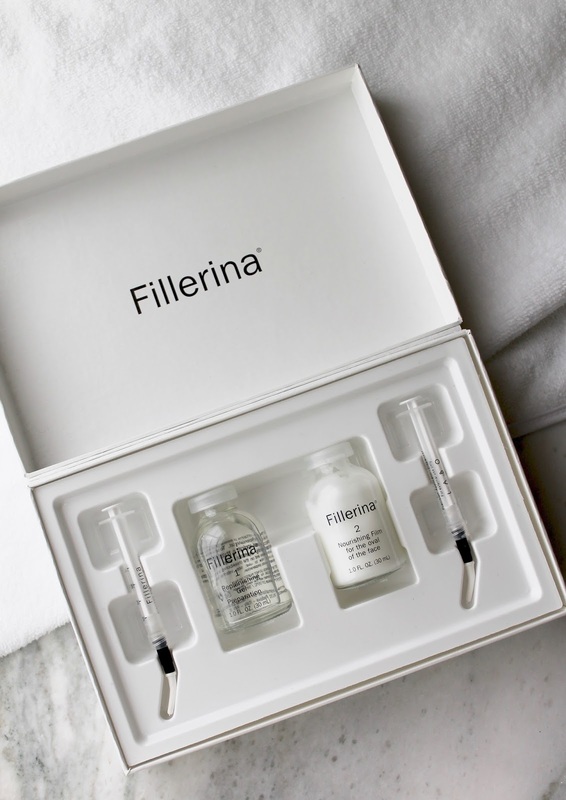 That's why I couldn't have been more excited when hearing about Fillerina, a topical filler treatment with a Swiss patent that works at different levels to rectify wrinkles thanks to a combination of six different hyaluronic acids. Of course, being someone in their 20's I don't have deep wrinkles just yet. Therefore, the Grade 1 kit was perfect for me, and works to correct early-onset, fine-to-moderate wrinkles and expression lines. The set is easy to use and, for me, worked almost instantly. I personally apply the treatment to my smile lines, lips, forehead lines, and the high points of my cheeks as recommended. There are two steps to the treatment, both of which are applied via perfect-dose syringes (these dispense the measured product, not inject) right onto troublesome areas. 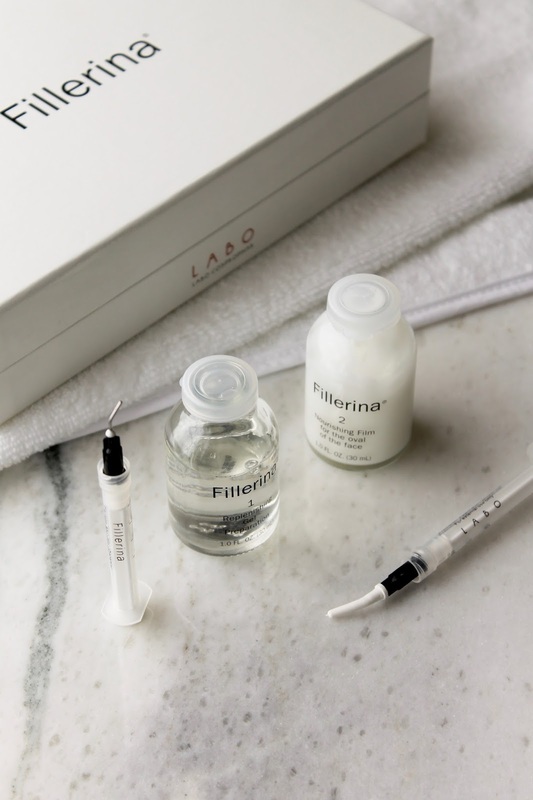 Phase 1 of the treatment is the hyaluronic acid treatment that penetrates skin's lower layers for instant line plumping and deep, consistent hydration. 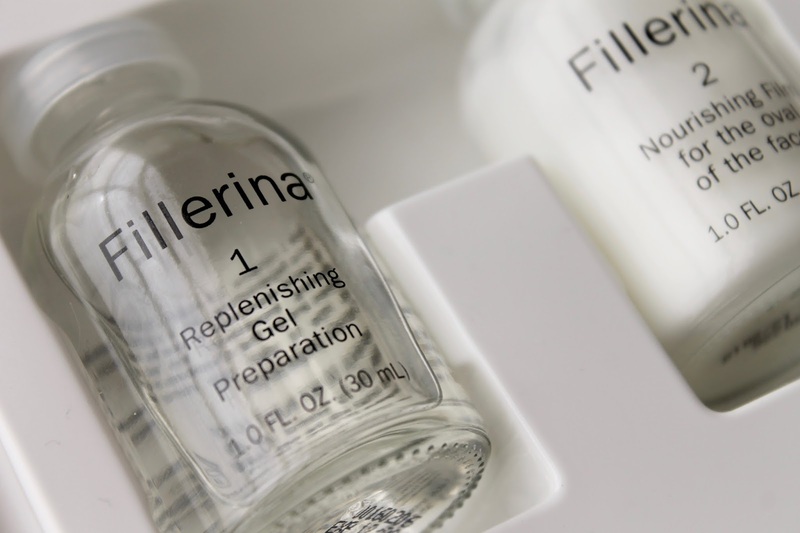 After waiting 10 minutes for Phase 1 to penetrate the skin, tap in excess and apply the Phase 2 Nourishing Film. The Nourishing Film is incredible, and makes my skin feel so comfortably smooth, hydrated and nourished thanks to a blend of vitamin E, shea butter, and meadowfoam seed oil. This application process is meant to be repeated once a day (either morning or night) for 14 days. I'm currently halfway through the process and can't believe how beautiful this has made my skin. My nasolabial folds (smile lines) have decreased in depth by about 50% and my lips feel smoother and plumper than they have in years. I absolutely love the results and can't wait to see how much more of an improvement will be made in the next 7 days of the treatment. I also love the how amazingly smooth the Phase 2 portion of the system has made my overall skin, and will definitely look into the other maintenance products the brand sells. 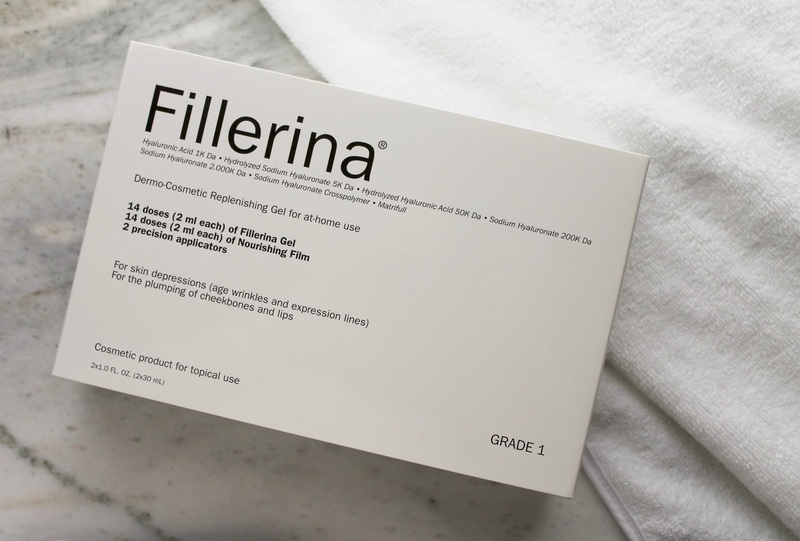 So, in my opinion, it's time to toss the needles and give Fillerina a try. 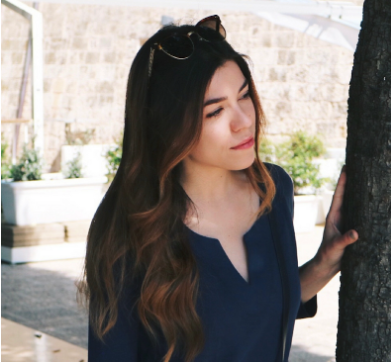 Will you try this amazing at-home treatment? (Get it here).